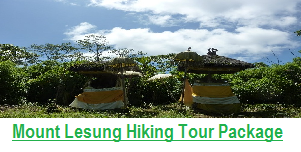 Are you the travelers who have ever made Mount Batur hiking trip? If yes, do you know any other interesting things that you might enjoy visiting and doing in this destination? 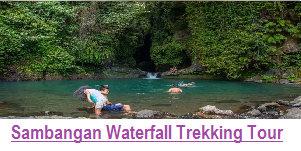 As one of the well-known tourist destinations in Bali, there are a lot of travelers have already come to enjoy witnessing the magnificent beauty of the caldera. If you are on vacation in Bali now, it would have become a must to visit Kintamani Tourism Area. Most travelers know that Kintamani is known as Caldera Batur which has beautiful views but it has rarely been known of any other attraction that they might enjoy visiting. Then, Consider several of these 8 things around Mount Batur you might enjoy visiting. These eight things are worth considering before you go on a tour to Kintamani area with its wonderful Mount and Lake Batur. As many people say, “Knowledge is power”, so by being knowledgeable of the places you will visit, you can manage what activities you will do in that place. This is all for your convenience. Having been known as an active volcano, Mount Batur does not only offer a fun of hike experience but it also owns natural hot spring baths. Hot water has been emerging as the natural springs from beneath the heated lava of Mount Batur. Here you will have the chance to enjoy incredibly amazing views while experiencing the sensational touch of natural hot water bathing. There are several providers of thermal baths you can visit to enjoy in Toyabungkah. It has already been common that they have already provided you with a complete package into their services. To get a very good impression, we recommend you to enjoy visiting this attraction early in the morning to get a very interesting sight. So, let’s go back to nature. Let’s enjoy bathing in the Natural Hot Spring of Batur. Another exciting thing you might enjoy doing in Kintamani is the activity of driving around Lake Batur by boat. The magnificent beauty of Lake Batur which is surrounded by hills offers a very pleasant experience for everyone. You will be able to have the opportunity to enjoy seeing the beauty of nature which is combined with the cold and the fresh green of the trees covered the hills of the Caldera. In order to get a very enjoyable experience you can hire a boat from the dock crossings in Kedisan village or several tour providers in Toyabungkah and Hulundanu Pura Batur. For you who love tropical nature and exciting boat driving, this is worth doing. Former eruptions of Mount Batur that have occurred several times did not just release freezing rocks but also create magnificent views of black lava. 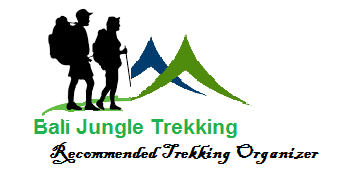 A lot of travelers admire the views and the trails as they could have the places to do many exciting activities such as cycling and any other extreme adventure. These beautiful views are also used as the background images for pre-wed photo sessions. 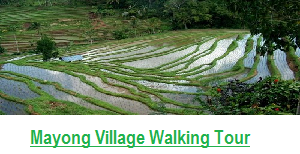 You can get there to reach the attractions through Banjar Tabu of Songan village. 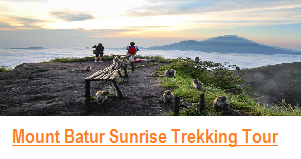 For photographers and nature lovers, this interesting feature of Batur is ideal for their activities. Now let us check one of the exciting activities that you can do around Mount Batur that is cycling from Toyabungkah towards Kedisan village. If you would like to spend your evening with an overnight stay around Toyabungkah, you can spend an afternoon or morning cycling with the bike you rent while enjoying the natural beauty of Mount and Lake Batur simultaneously. Hotels or any accommodation in Toyabungkah or any other places in Kintamani are usually ready to rent bikes for their guests. Therefore, you don’t need to bother yourself to rent one elsewhere or to look for any bicycle tour provider while you stay in Kintamani. 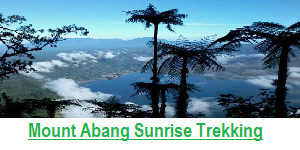 This makes it easier for your cycling tour activities in Batur. In case that you love culture and traditional buildings, Hulundanu temple in Songan village is one that you must enjoy visiting. Hulundanu Temple constitutes one of the oldest temples in Bali. The temple is really believed to be the source of life so that it is highly valued by the people of Bali Island. In addition to the spiritual and cultural tour you can also enjoy the stunning beautiful views of the Holy Water Temple of Hulundanu. In addition to the northern part of this temple you can find a bat cave that has already existed there for dozens of years. This natural bat cave is quite attractive for some travelers to visit. There is also one new attraction which has been visited by many tourists. The attraction is called the Tree of Love which is located in Pinggan village. This Tree of Love which is situated near Dalem Balingkang temple is believed to be a center of the ancient Balinese royal kingdom. The tree of love offers very nice views, the combination of hills, Mount Batur and the greenery of the trees covered with the hills which provide a very pleasant experience for travelers. This Tree of love even begins to be widely used as a background object for pre-wed photo background by many couples. In addition, people of this village believe that these trees provide a positive aura for couples who want to do the wedding in the near future. Many people believe that these trees bring good luck to them. 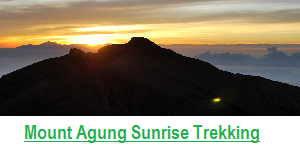 In order to reach this location you can go passing through Kintamani in the direction toward Pinggan village. For teenagers or young couples, this place could be their favorite destination. Another interesting thing is Resto Apung which is one of the attractions that you must visit to see the magnificent beauty of nature with a combination of lake Batur, mountains and hills on the Caldera. Resto Apung presents the concept of floating restaurant over Lake Batur. Besides the natural beauty and experience traveling over the lake you can also have the exciting chance to enjoy the typical cuisine of Lake Batur that is tilapia fish. In case you would like to spend a few nights around the lake you can rent a villa with a traditional concept of building and surrounding nature. The price of the villas can possibly be in your budget. Last but not least is the attraction of Terunyan Grave. It can be said that it is the most unique attraction among others you might enjoy visiting. It is situated across Lake Batur, exactly in a village called Terunyan. It lies about 1 kilo meters to the north. This traditional unique cemetery is very interesting to visit, where the village community just put dead human bodies on the ground. Strangely no bad smell at all that comes out from the cemetery even though there are many dead bodies which have already been placed regularly in this graveyard. Village Community believes that the trees of Tarumenyan absorb the bad odors of the dead human bodies placed there, so there is no smell at all that exhaled. In order to be able to access this location you can use a boat from Pier Crossings Kedisan or from the village of Terunyan. This location of the grave is a bit far from the settlement and there is no accessible road. This exotic place is too dear to miss if you really love unique things. Things Around Mount Batur“, and go exploring for more!! !